The Titahi Bay Boatshed Festival aims to celebrate the diversity of people, atmosphere and beautiful landscape of the bay. On Friday 27th November from 4pm till 8pm the festival will be based in front of some of the boatsheds on the northern end of the bay. 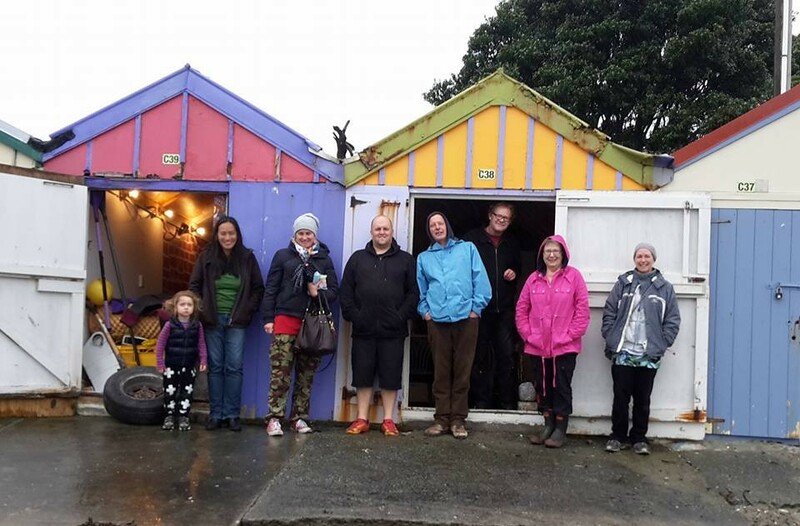 With the support of a number of the shed owners we will be opening as many sheds as possible to create a festival reminiscent of old time classic Titahi Bay celebrations. Titahi Bay lacks a community centre so for this afternoon the boatsheds and the beach as a whole will become the Titahi Bay peoples place. For the afternoon and evening the community will have a ‘place/boatshed’ of their own on the beach. Activities being organised include a line-up of musicians, a portable community centre serving free fresh fish and chips and Titahi Bay sourdough loaf. There will be classic beach games like human wheelbarrow/egg and spoon /sack race and sandcastle building. We’re hoping to revive the North-end vs south end tug-o-war! Some of the sheds will be occupied by local artists entrepreneurs/writers and local organisations. The highlight of the evening will be the surf club IRB demonstrations around 6pm.